> Strong experience in HP Loadrunner performance Testing. Address: Jayam Solutions Pvt Ltd, Door No12-7-134-320, Plot No: 320, Gokul Nilayam, Anjaneya Nagar Colony, Moosapet, Hyderabad. Telephone: 040 – 4853 5614 / 40027768 / 48526868. > 5 to 8 years of Experience in designing Functional Automation strategy especially for SAP projects. > At least 3 Years of hands on Experience on automation to design build and configure applications to meet business process and application requirement especially for SAP GUI and FIORI application using TOSCA. > Experience in linking TOSCA with JIRA TOSCA & Bamboo integration Continuous Integration/Testing. > Experience in TOSCA link with selenium. > Write and executes detailed test cases. > Experience with test management tools like HP ALM, JIRA and Confluence is required. > Strong understanding of common Systems Development Lifecycle methodologies, specifically iterative approaches like Agile / Scrum. > Exhibits strong written and verbal communication skills with IT audiences. > Excels at working in a project environment and on cross-functional teams. This is Tarannum from Future Focus Infotech Pvt Ltd. We happen to see your profile on one of Job Board. We found your profile matching with requirement. We have an urgent opening for Functional Testing in Pune Location on Contract to Hire Basis with one of our reputed CMMI Level 5 company. > Hands on Experience in UI Automation using selenium + Python and acquaintance with open source tools like selenium grid and Jenkins. > Should be able to lead tasks and take it to completion independently in geographically distributed team. > Functional and non-functional testing, test planning, test design for manual and automated testing, implementing and maintaining high quality tests, and execution at scale. > Experience in working on Linux or Unix operating systems. > Scripting using Shell scripts/Perl/Python. > Develop and execute automated test scripts for requirement validation, regression, performance and application security testing. > if any one interested please share your updated cv srinivasanj@summitworks.in. > Should have experience in testing web-based/enterprise applications focusing on functionality, UI, content and overall user experience. > Good Knowledge of basic SQL queries is a must. > Experience with HTML and CSS-knowledge. Should be able to do cross-browser testing with various versions. > Log defects and work closely with developers to investigate, troubleshoot and verify defect fixes. > Demonstrate creativity in identifying bugs with negative and corner case test cases. Company Name : Cvent India Pvt. Ltd.
> Resource needs to be able to manage the Support desk, enter tickets and communicate with the end client when necessary. > He also needs to manage the entire development team, assign tickets and follow up with developers to ensure that tickets are getting completed on time. > Running and executing test cases with great attention to detail with no room for error. 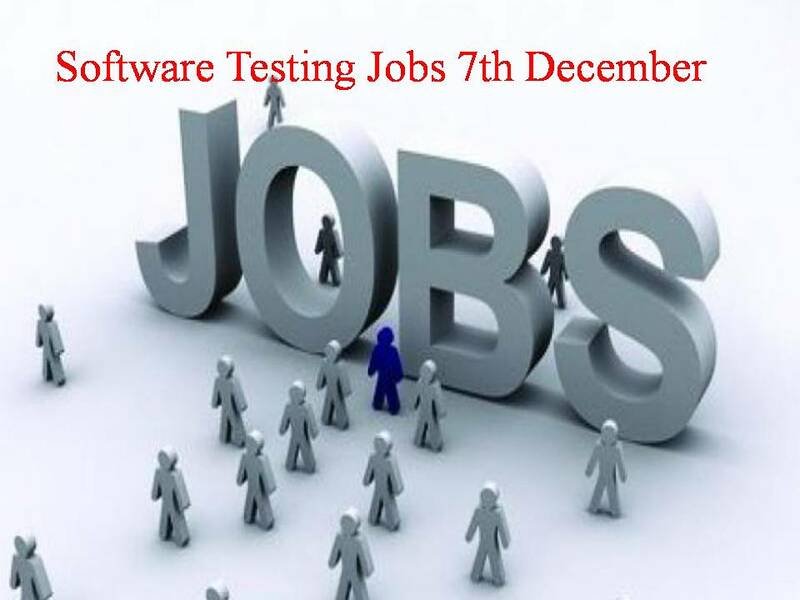 We have an urgent requirement for the Post of Architect, Testing (UFT + Selenium) in Hyderabad location . This is a permanent Position. Request you to share your updated word resume.